WKU opens dorms and classes to the 321st College Training Detachment. They create the Open Post newsletter. 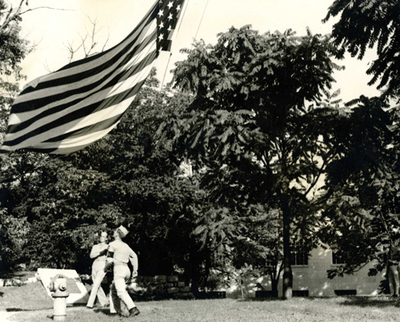 Here members of the company are seen raising a flag over Fort Albert Sidney Johnston.